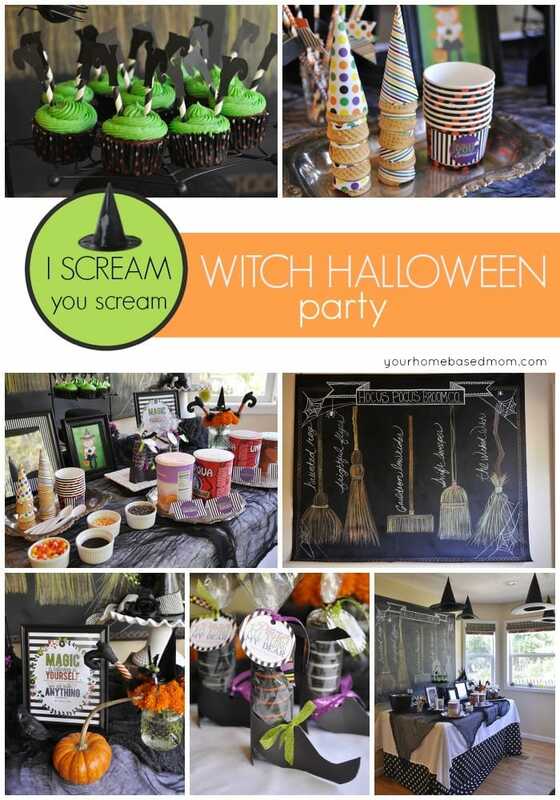 Halloween and ice cream, what a perfect combination for this I scream, you scream Witch Halloween Party! 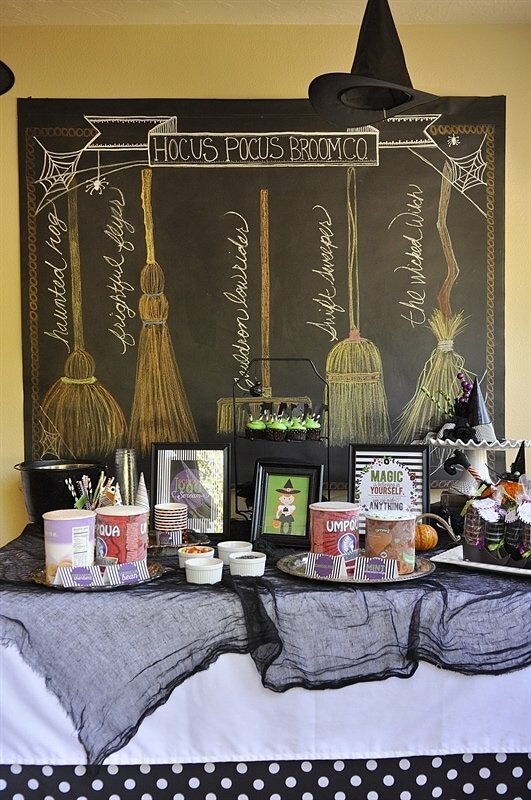 Fun witch party ideas and Halloween ice cream treats! 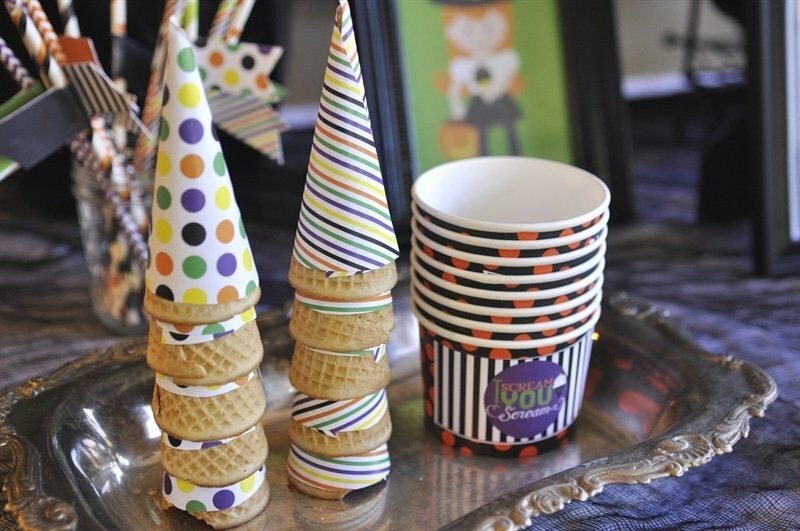 This fun Ice cream themed witch party is perfect for witches and warlocks of all ages. 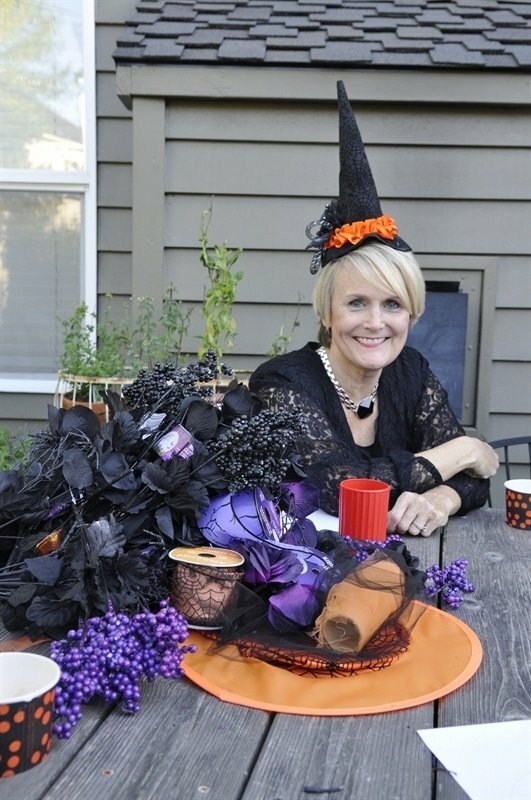 For the halloween party decorations, I enlisted the help of my friend, Darlene. 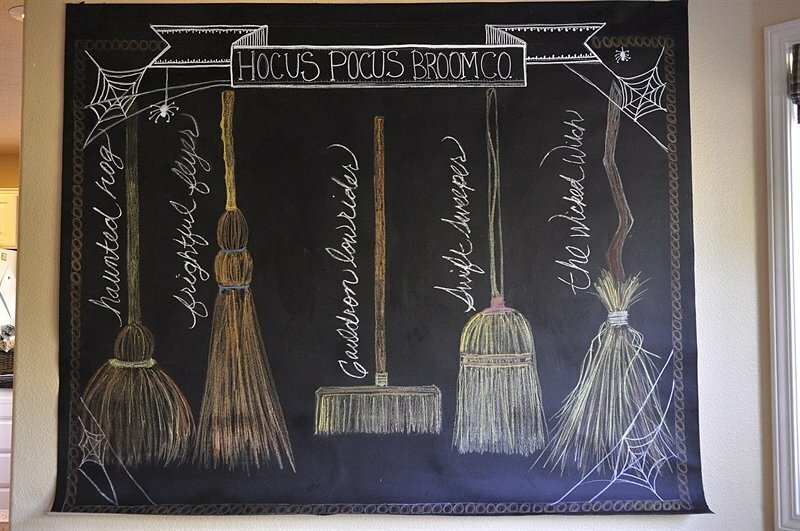 I found a picture of this amazing Hocus Pocus Broom Co. chalk art from Inspired by Charm that I knew would be the perfect backdrop for the party. 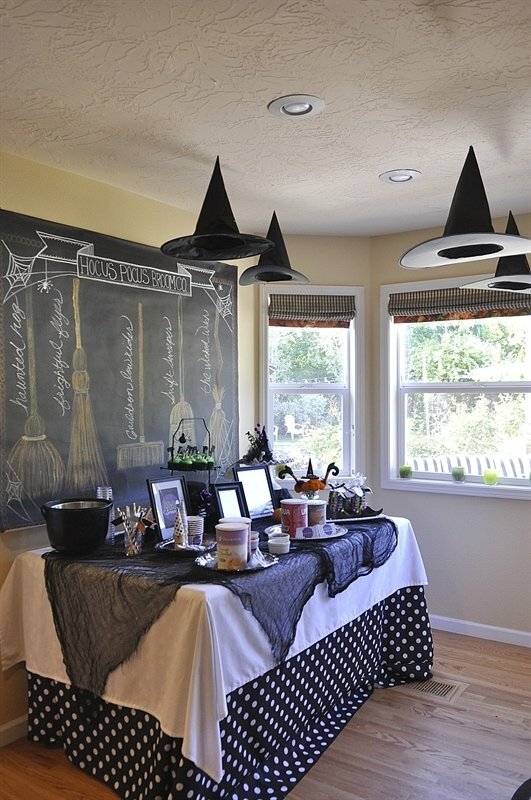 We used my chalkboard party backdrop and it worked perfectly! Darlene did an amazing job and it was perfect. 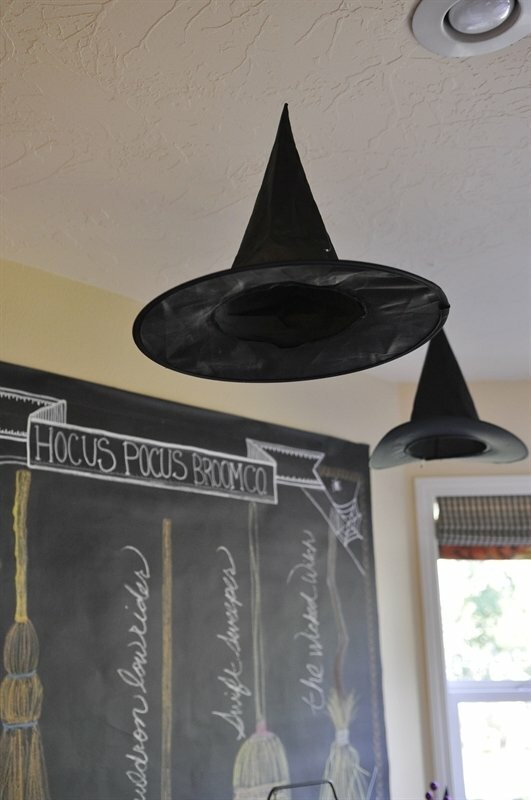 Also, I found black witch hats at Goodwill and hung those with invisible fishing line from my ceiling for a fun effect. 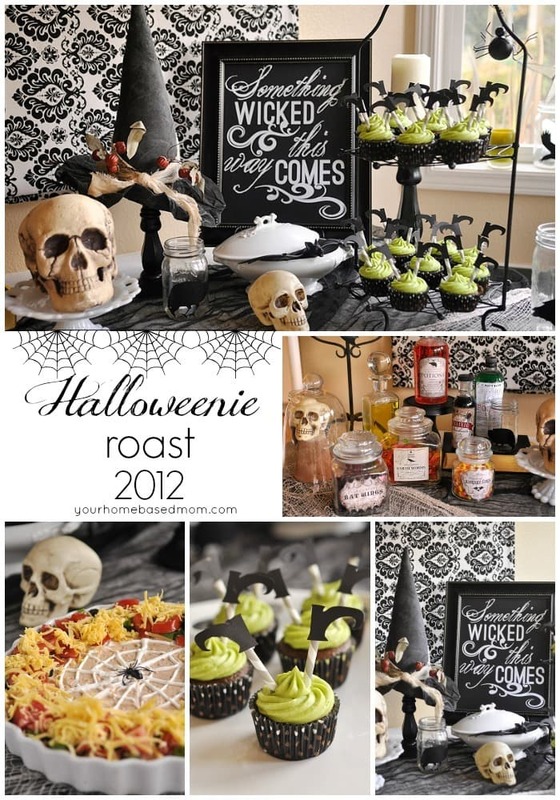 For the table I had some fun witch themed decor too. I purchased a brown kraft paper hat at Michaels and spray painted it black and decorated it up with some ribbon, flowers and other little Halloween doo dads I had. 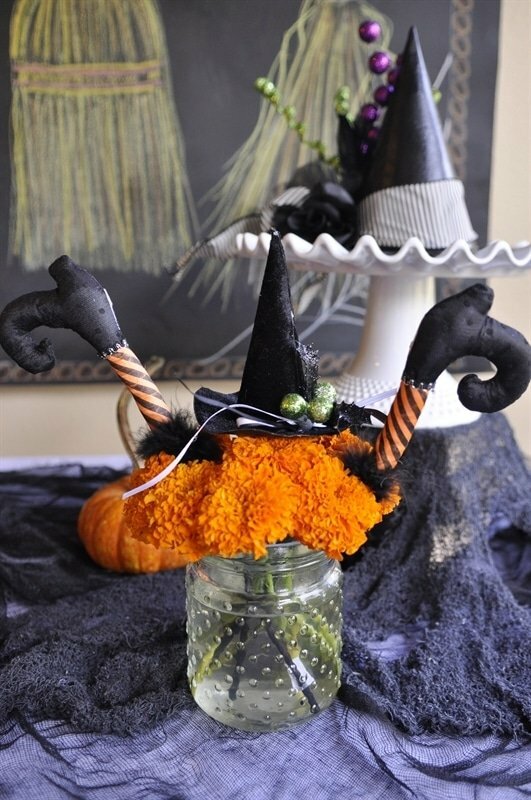 I found these darling witch feet and hat at Michaels too and it was perfect in with my orange mums. 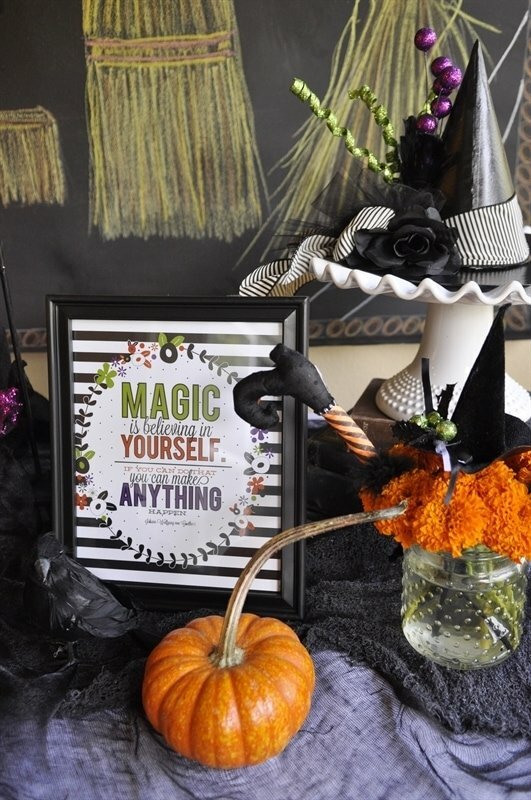 The Magic printable was done by another talented friend of mine, Kiki of Kiki & Company. I’ve got a free downloadable printable of this quote for you today! 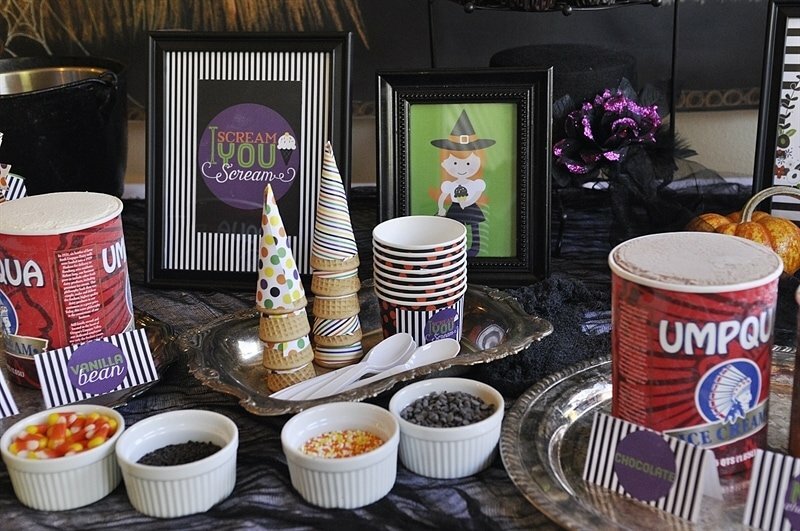 Since it was an I Scream You Scream party of course we had ice cream! We had four flavors of ice cream and four different toppings. 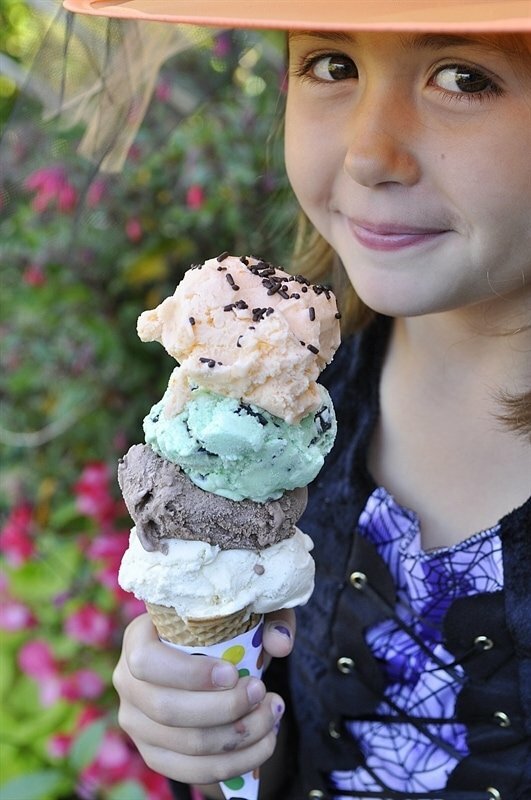 The flavors went with my color scheme – vanilla, chocolate, mint chocolate chip and orange sherbet. 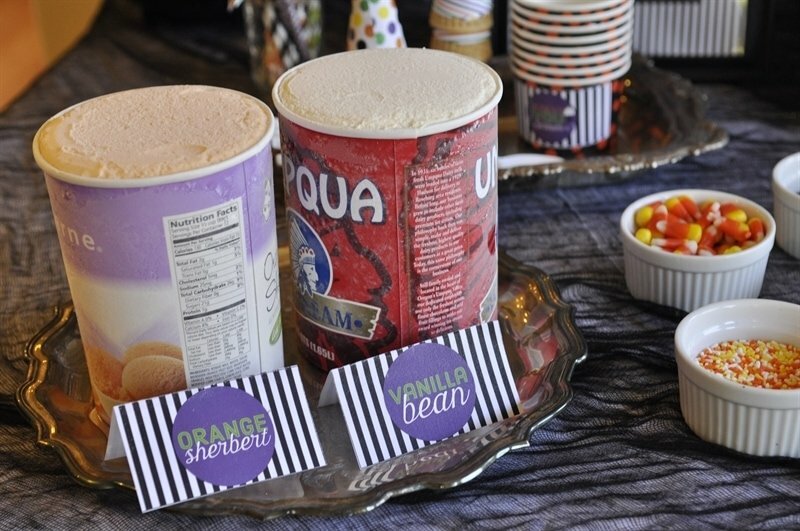 Of course there were cute little place cards with the names of the ice cream. 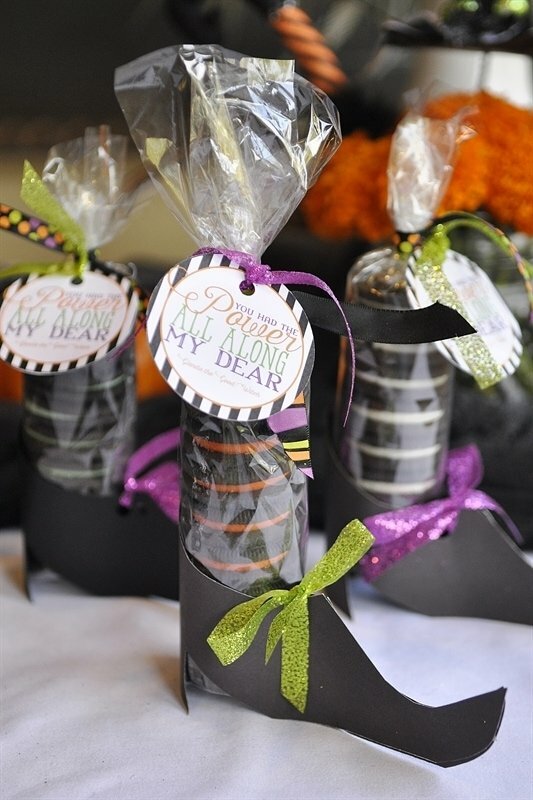 The toppings included candy corn, Halloween sprinkles, chocolate sprinkles and mini chocolate chips. I loved the cute I Scream You Scream printables Lindi made that I framed for the table. 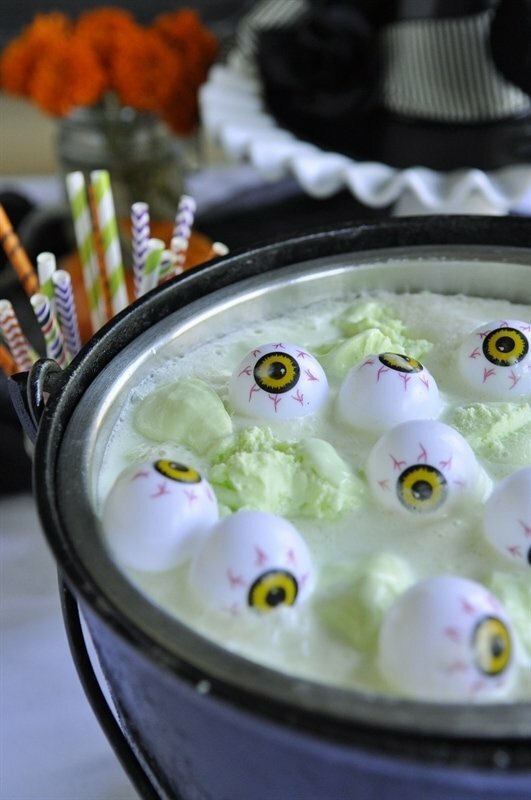 And then there was Witch’s Brew, a fun green punch with eyeballs floating in it. 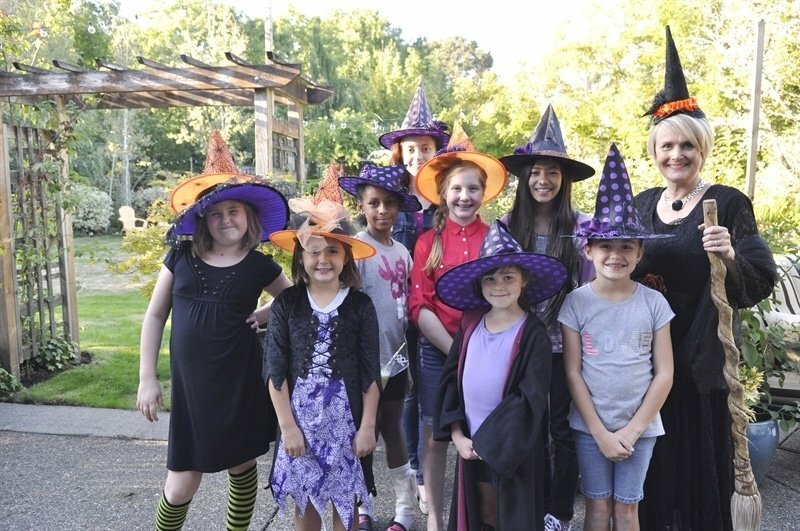 For our activity for the party the girls each decorated a witch hat. 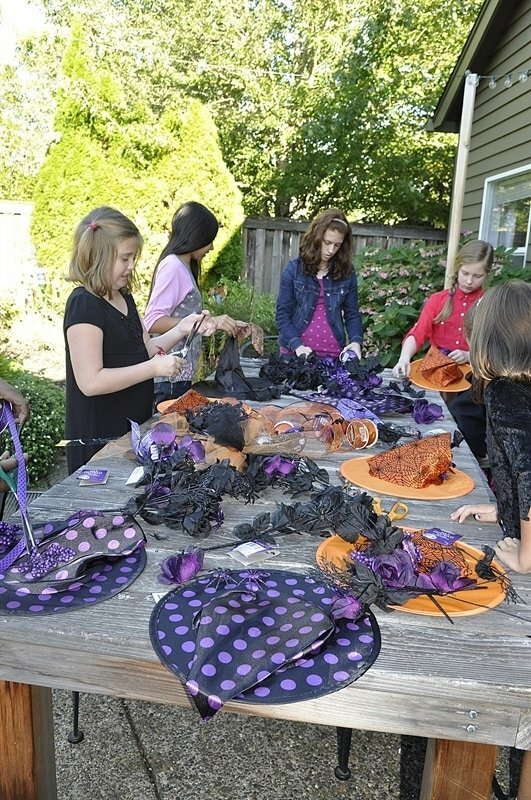 I had purchased the hats at the dollar store along with some black flowers, ribbon and tulle. It was fun to see their personalities come out as they decorated their hats. Here are my cute Activity Day girls! After we decorated hats they loaded up on ice cream! We talked about Dorothy and the Wizard of Oz. 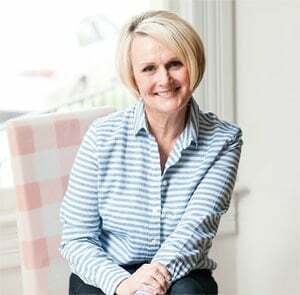 How Dorothy’s main goal was just to get home and that we have that same goal – to return home to our Heavenly Father and Mother. Dorothy finally discovered thanks to Glinda the Good Witch that she had had the power to return home all along in her ruby slippers. With the girls we talked about how they each had the power of the Holy Spirit that could help guide and direct them so that they could one day return to their heavenly home. All they need to do is look within themselves and draw on the power of the Holy Ghost and they will find the strength that they need. Like Glinda said, “You had the power all along my dear.” I made a cute little witch shoe for each of the girls with Glinda’s words on it. 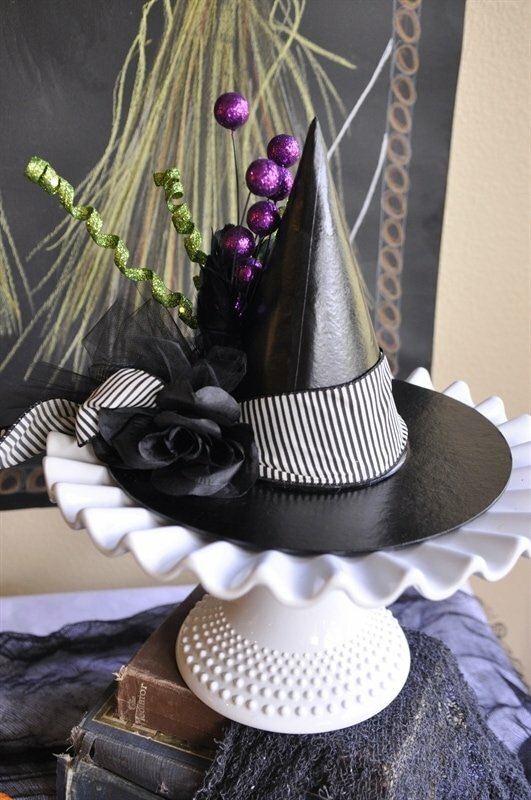 I have a tutorial and a free printable for the oreo witch shoes. We also talked about how we each have strengths and talents. They each have the “magic” they need. 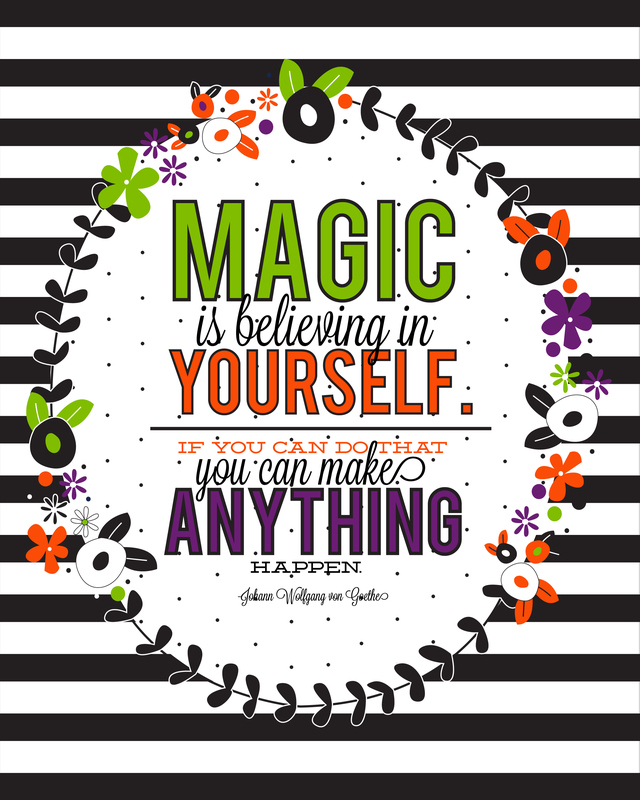 That by believing in themselves they can accomplish anything they want to! The characters in the Wizard of Oz – the scarecrow, tin man and lion all went searching for something that they already possessed. All they had to do was to look inside of themselves to discover they were already smart, brave and loving. 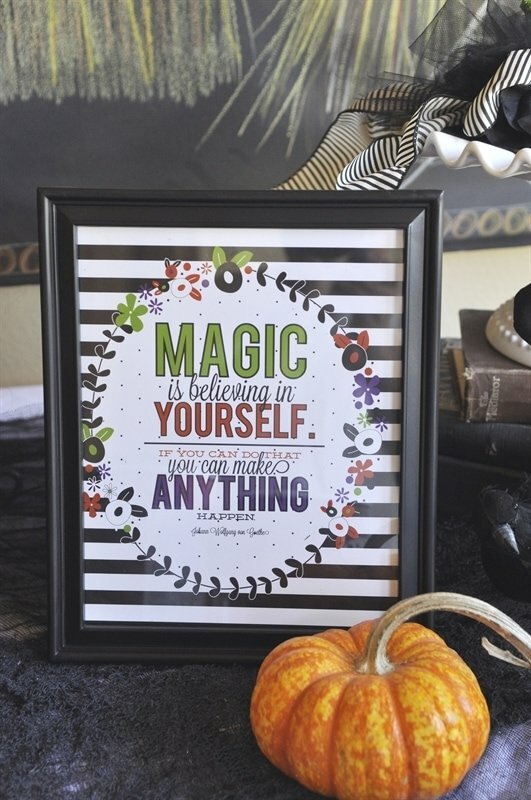 You can download this darling Magic is believing in yourself printable from Kiki & Company here. I wanted each of the girls to leave knowing they were loved. By their heavenly parents and by me! With the time we had left we played a fun game that I found on Pinterest. They rolled diced and for each number they rolled they were able to add a different feature to their pumpkin. To print off the directions go here. It was a fun party. 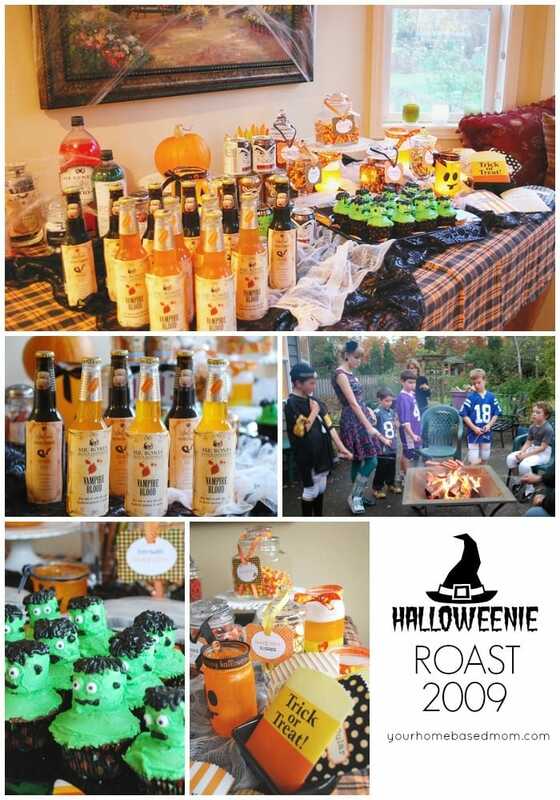 The girls had fun and I had a blast putting it all together with help from all my creative friends!. 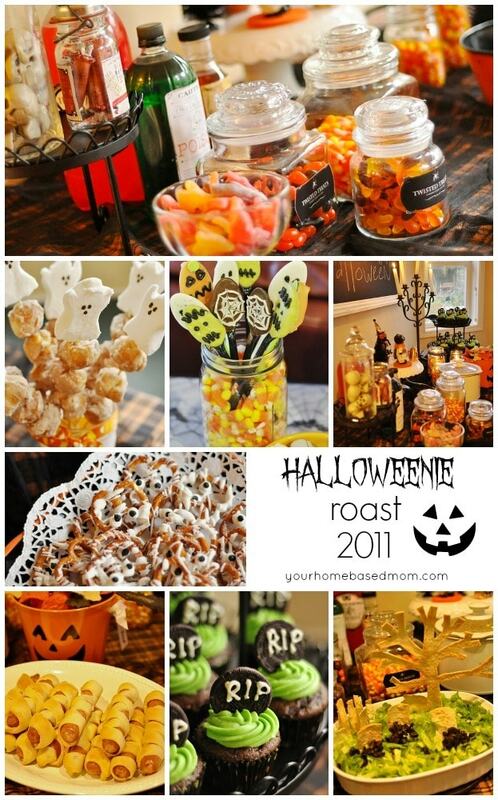 OMGoodness – what a fabulous idea! This would work for Y.W., too. 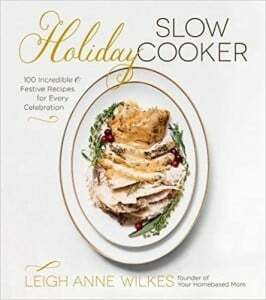 Thanks, Leigh Anne, for sharing your wonderful ideas. Marsha, It was be great for YW too! It was such a fun game and the girls had such a good time playing it!!! Thank you! a Christian school, and her birthday is Oct. 31! I was actually moved to tears when I read how you were able to use the “Dorothy and Oz” story to share the love of God and the Holy Spririt in their lives! 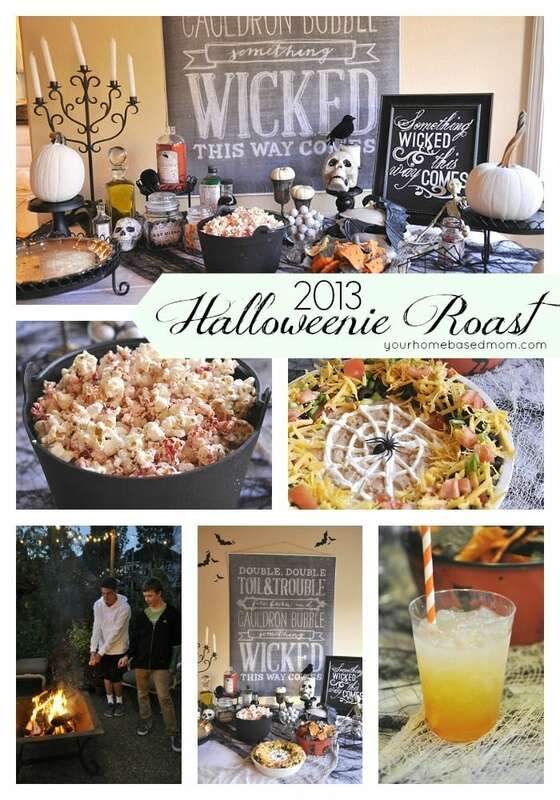 I will use your party ideas for her party! 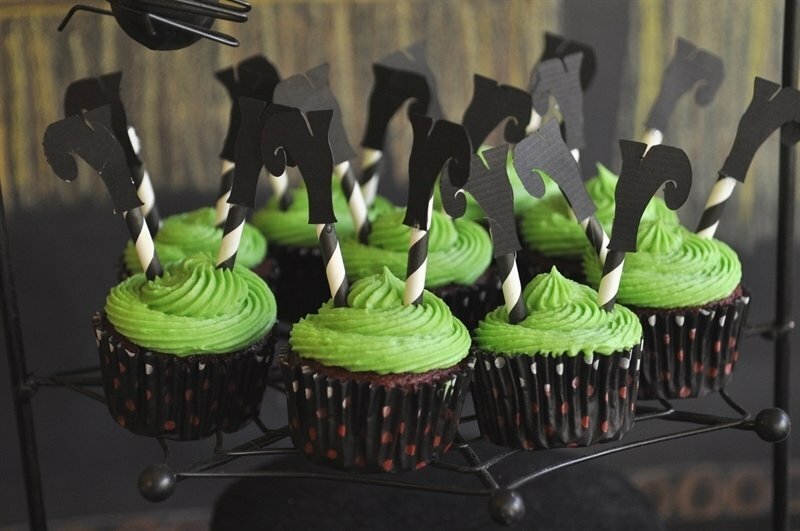 Oh, and those witches legs in the cupcakes are a riot! Many thanks! You blessed me today! Deb, Thank you so much. I really wanted this party to have a meaningful message for the girls so I put a lot of thought and prayer into and it all just seemed to come together! So glad others can benefit from it too. This was wonderful, I love the idea. I wish you were my Activity Days Leader!!! I know my girls would love you. I have been so lucky to work with these girls!! 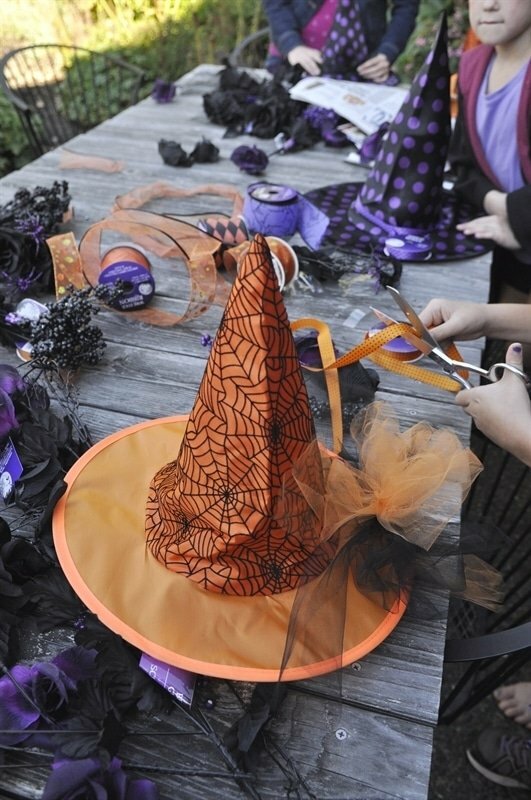 Did you use glue guns to decorate the hats with all of the cute fixings? 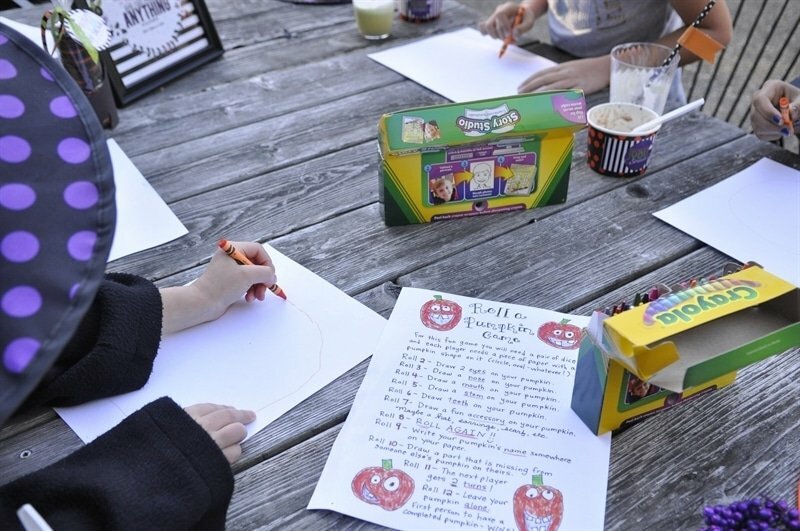 I also work with the activity day girls and love these ideas. Yes, I had a little station set up with 3 low heat glue guns and another mother who helped man the station and help the girls with the glue. Activity Day girls are the best!! You inspire me each and everyday. Not just in your incredibly creative ideas, not in sharing others incredibly creative ideas, but also in your words and thoughts. You continually amaze me. Thank you so much Ellen. This party was a work of love, prayer and inspiration. I wanted to leave my girls with not only a fun party but a meaningful message they would always remember. It is such a treat to know you, all that you share. Thanks friend! I’m planning on hanging out at Michaels more so I can run into you!! 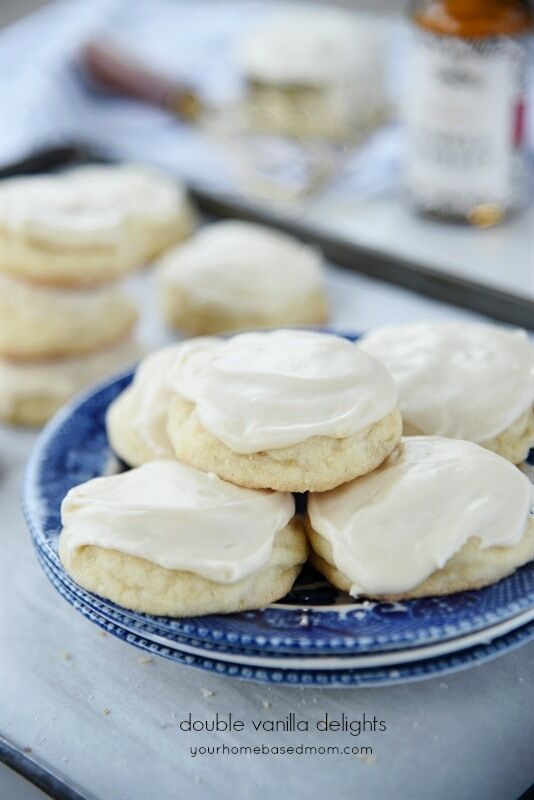 Was there a printout of the witches feet for cupcake. They were just to cute. There is not but give me a day or two and I’ll get one uploaded to the blog! It’s there! There is a link to the pattern by the photo of the cupcakes. Thank you Kiki for all your help. The handout was just perfect and the girls loved it. I’m confused by your reference to “Heavenly Father and Heavenly Mother”. Usually Heavenly Father refers to God the father of the trinity but never heard heavenly mother. Could you elaborate? Absolutely. I believe in the Godhead which you referred to as the Trinity – Heavenly Father, Jesus Christ and the Holy Ghost. I believe they are 3 seperate individuals, one in purpose. I also believe that we have a Heavenly Mother. Why would we have mothers on earth if we didn’t have them in heaven? What a fun party! I’ll bet the girls are really going to miss you. I’ve made Oreo witch shoes very similar to yours the past 3 years for a boutique here, but I have never thought to combine them with that quote from “The Wizard of Oz”. That is great. I’ve just used a tag that says “Trick or Treat, Smell my Feet” or “If the Shoe Fits…” Not too original, but works for Halloween. What a fun thing to make and sell! 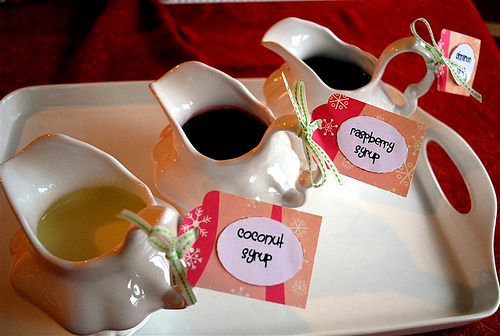 Your tag sounds darling and would be fun for neighbor gifts. So fun! Those little girls must love you as their leader! Also, I believe I saw your twin singing during conference last weekend. Every time I saw her, I thought of you! I love all your great ideas and creativity! But most of all I love how totally and completely you serve in your callings! It’s inspiring. Can you tell me where you found your eyeballs you floated in the whitche brew? 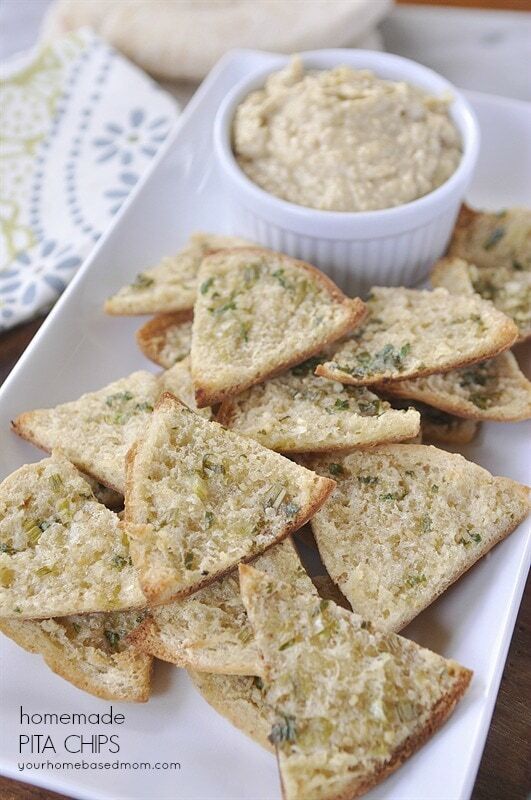 Or did you make those? Thank you so much for these ideas, I’m going to use them to have a vision of it for my amazing laurels, I’m so blessed to serve as YW pres with. Thanks so much Kathy! The eyeballs came from the Dollar Store. You are lucky to be in YW and I am sure they are lucky to have you too. Oh my goodness! 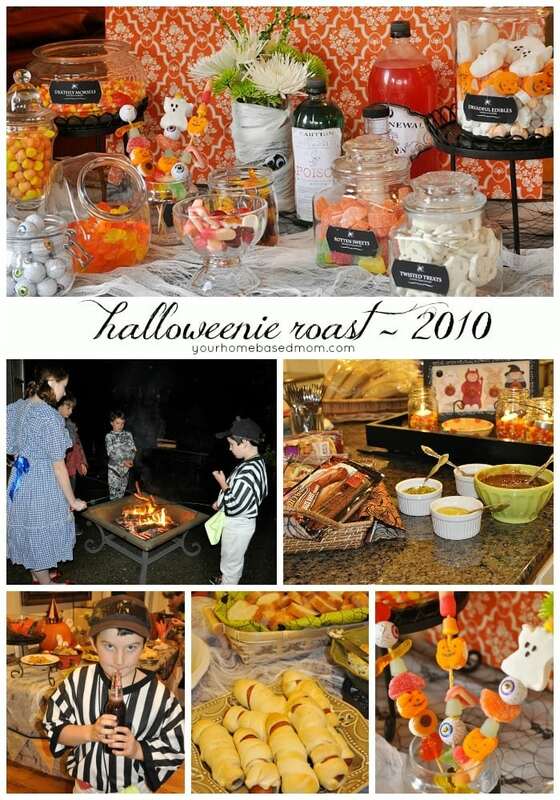 This whole party and theme is adorable. Definitely going to be doing this! Thanks for all the cute ideas! Thanks so much Stephanie! Hope you have fun with the party. I am so sad too but I am already planning some mother/daughter activities for Relief Society which is my new calling so hopefully I will still have some ideas for you!! 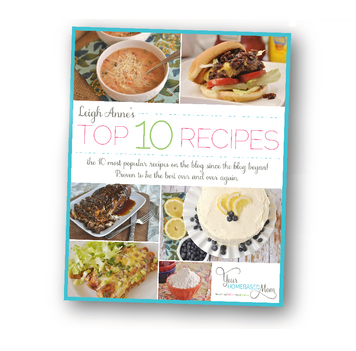 I am so glad that you have found the ideas on the blog helpful. I really appreciate hearing that. Such a fun site and activity! Thank you! Becky, I emailed it to you. Cute idea. This would be awesome for FHE as well. Thanks for sharing. Would make a great FHE! Enjoy.